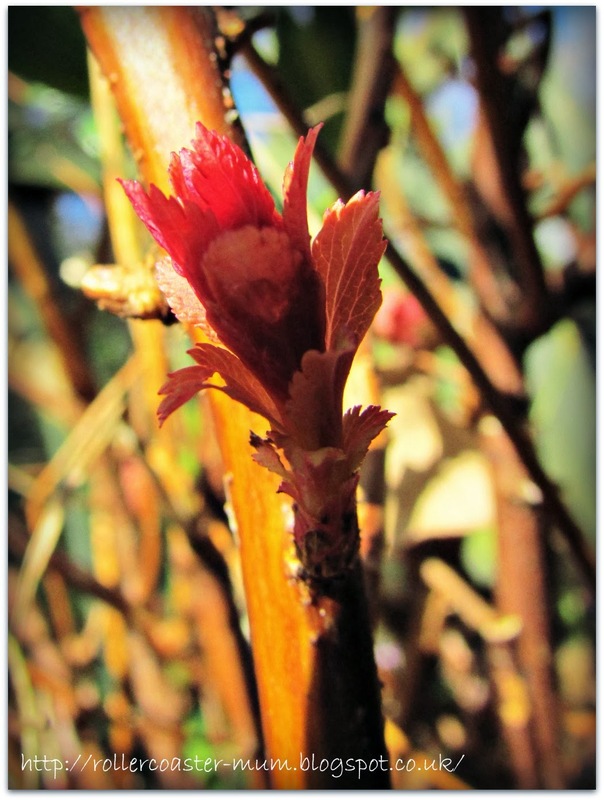 I managed to get out in the garden and take some pictures of spring sprunging and even planted some garlic - not sure what this plant is but it has pretty red leaf buds. You can see lots more from the garden here. 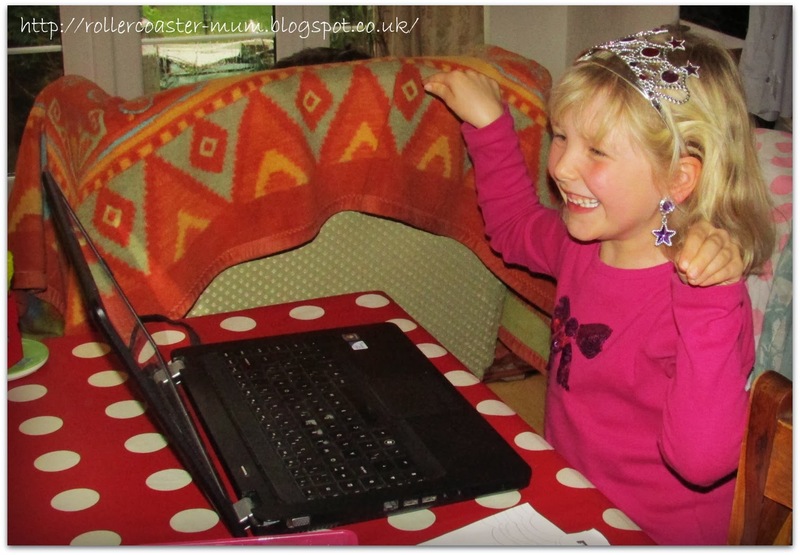 Little Miss taking advantage of a rainy Sunday and doing her mini Boden fantasy island - I think this was the funky crab dance?! And after the rain came blue skys..
and then torrential hail storms. The hail stayed around for over 24 hours and rivers rapidly flooded again. 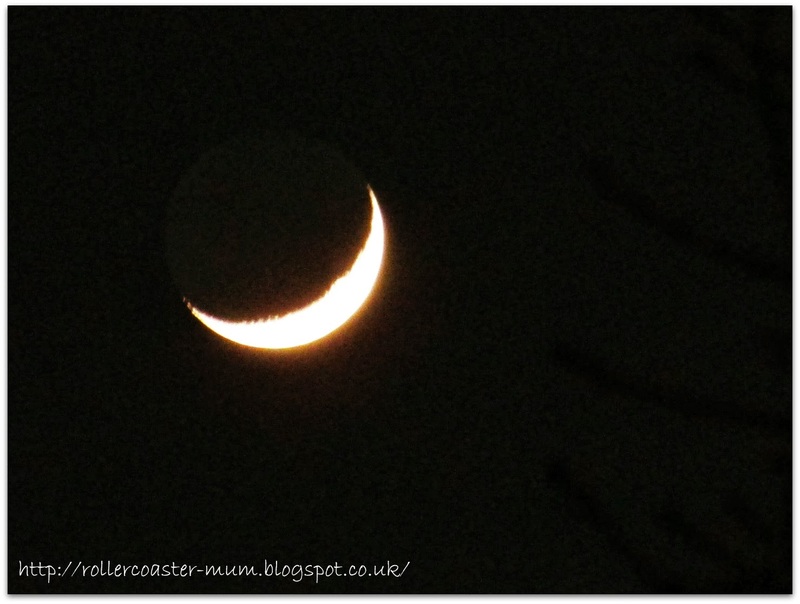 The clear skys provided a good view of the new moon. 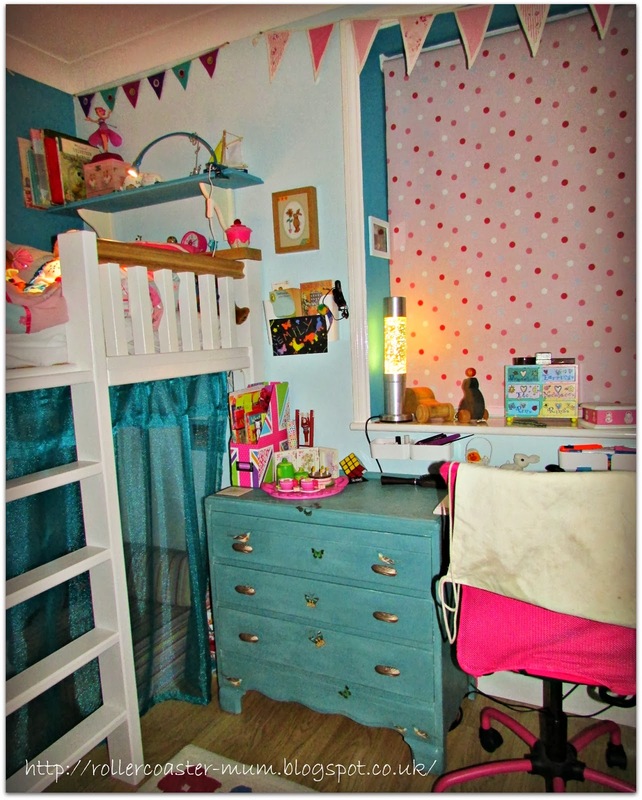 Lastly I did promise a pic of Bigger Miss's revamped room and here it is - complete with bargain Lebus chest and curtains made with my own fair hands. There is still a couple of touches to be added and I plan a proper post on the whole thing at some point. How lucky are you to have so many gorgeous signs of spring. How lucky is Bigger Miss to have such a lovely new room. what brilliant outdoors photos - you have captured almost all the different weathers in one post! 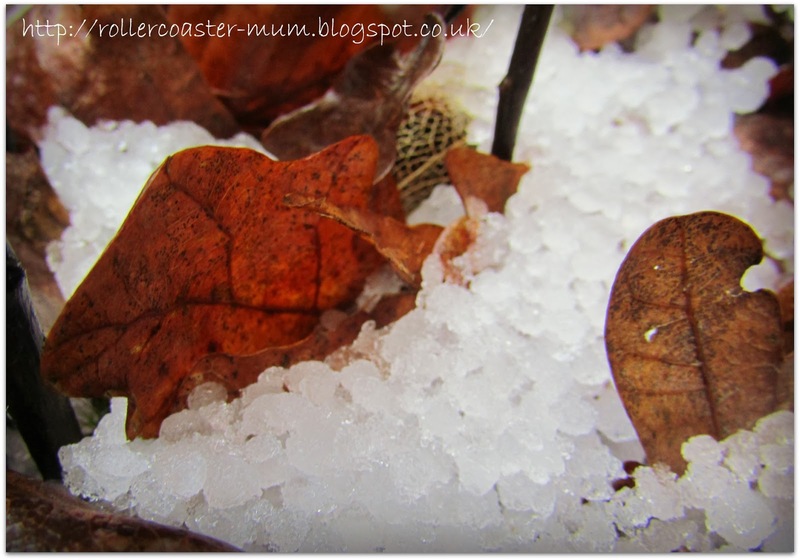 that single raindrop is fab and the frost covered leaf and hail stones - you clever thing! 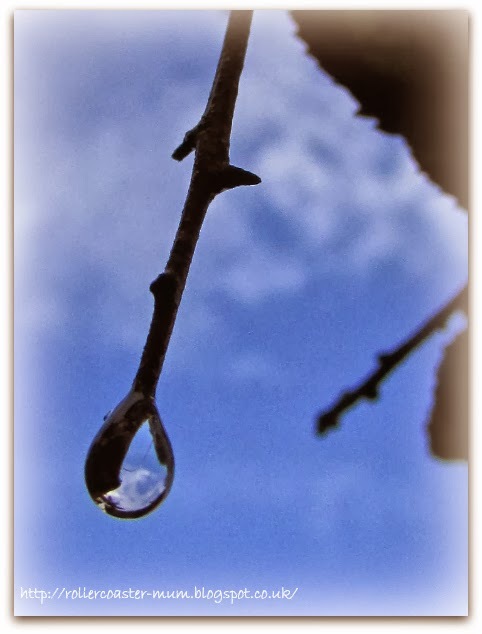 What great water droplet photos. We have been experiencing mostly rain here with the occasional hail stone shower which has not been fun. Her room looks lovely and well done on the curtains...a very fair hand you have indeed! Great shots! I love the new look bedroom! It's lush! 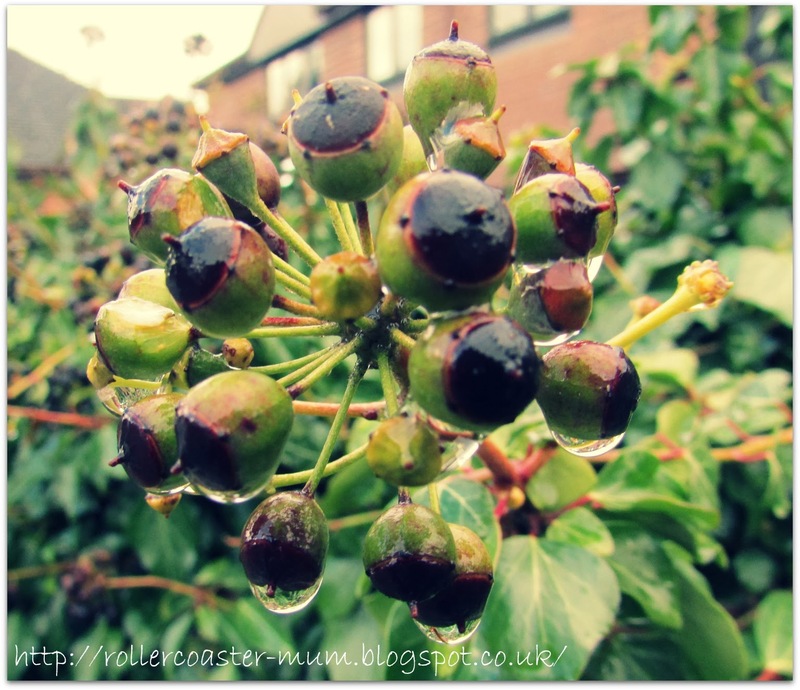 Love the water droplet shots! The frosty leaf is also really nice. Thanks for sharing! What amazing photos! The frosty leaf is fantastic...that is one of the things in life that I love more than anything. A bright crisp day with frost! Incredible. Those ivy heads look super-freaky! As was the weather, by the looks of things. That hailstorm sounds impressive. 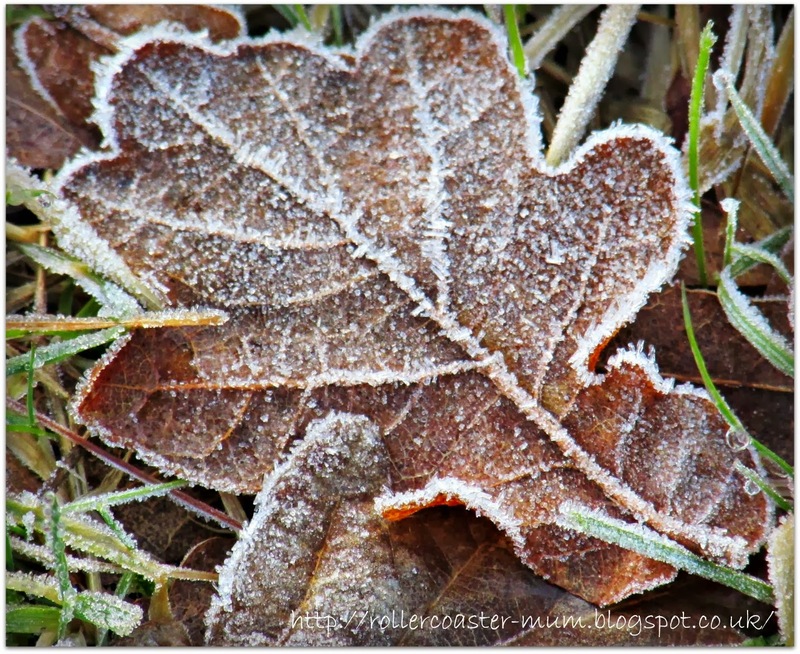 I love the frosty photos, making me feel all chilly now!